Our Boong-do is finally experiencing what all men of modern-day South Korea must experience, mandatory military service. Cries. 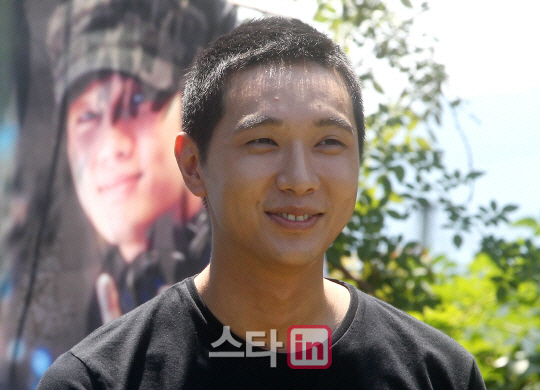 Ji Hyun Woo entered the army today on August 7 at the 102th reserve base for four weeks of basic training. He will then begin his 21-month active-duty service. 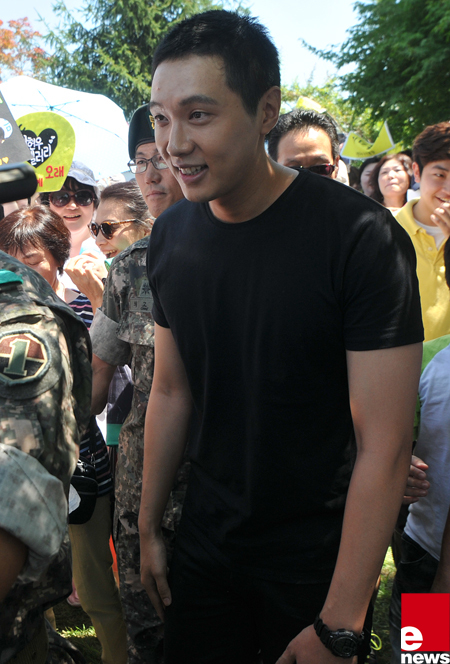 Many fans and reporters came to see him off and Ji Hyun Woo held a brief interview session before he entered the base. Although reporters asked him many questions about Yoo In Na, Ji Hyun Woo simply laughed and avoided answering. 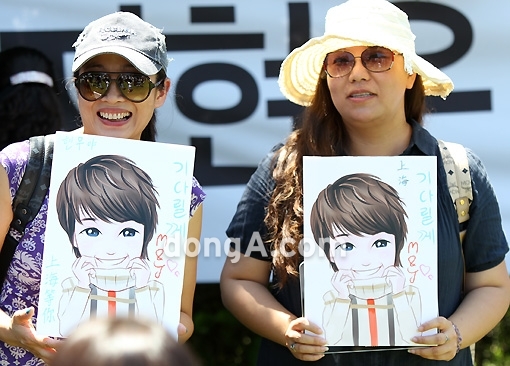 Yesterday, representatives of Yoo In Na informed the public that she will not be coming to see him off today. Reports have it that the couple had a dinner date the night before instead. Ji Hyun Woo just briefly thanked people for coming despite the heat and assured fans that he will return healthy and safe. I, for one, am glad that Yoo In Na didn’t come. What a circus show that would have been for the press. I’m happy to just leave this couple alone so that they can whisper sweet nothings into each others’ ear in the privacy of their love bubble. And I’m just as protective of Yoo In Na as I am of Ji Hyun Woo. Also, Ji Hyun Woo’s fans got to say goodbye to someone they support for his music and performances, not his love life. He looks happy and healthy in the photos, and that makes me happy. I hope his back injury is all healed now. Ji Hyun Woo said before that he never really had a break since debuting in the industry, so while the army is no picnic, I hope Ji Hyun Woo gets some time for rest, and personal reflection and growth. *I don’t think we’ll be seeing any post-army abs from Ji Hyun Woo. He’s already shown some and and if I remember correctly, Ji Hyun Woo said that he really doesn’t care for working out. Ah well, I guess I’ll just replay Mr. Idol. Aww ! I’m heartbroken now, Boong Do will be missing from my radar, oops i mean Hyun Woo. I can’t seem to separate the 2. I have to rewatch his old performances (esp. Sexyback) and dramas, esp QIHM during this long….. absence. No one can replace Boong Do in my heart. I agree, it is better for YIN not to attend cos it will become a media circus, and the focus will be on them as a couple, and not as a farewell to his fans. I will miss him dearly !! Is it weird to say that I’m not sad about him leaving? Ji Hyun Woo gives off such a practical and positive energy so I’m pretty calm and happy. Two years are going to fly by. For me, it’s the opposite. I had never cared in the past who had gone off to the army. 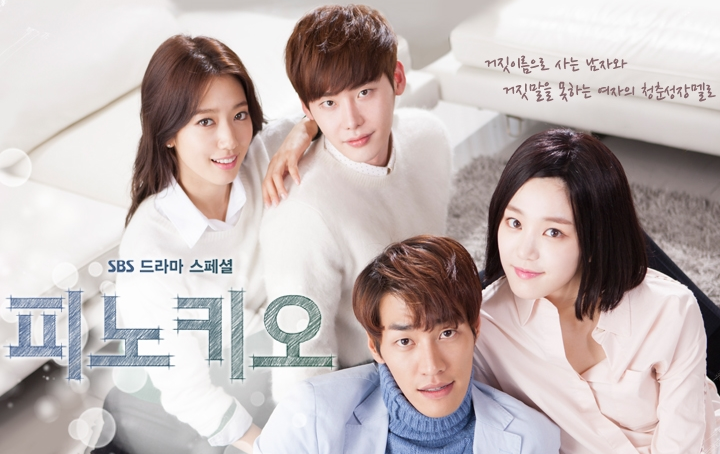 Only Boong Do/Hyun Woo…. HAHA, yes, need to rewatch Mr Idol to view his abs. No, I don’t think that it is weird to say that you are not sad about him leaving. We knew he would be leaving, and we also know he has someone he LOVES and that she loves him back, so he got to experience some happiness before leaving. Now they just have to get through the almost two years wait, and hopefully their love would have been stronger by then. That is what I wish for them, that and good health and safety for both of them. I am also not sad about him leaving, so you are not alone. I knew I could count on you to update us on JHW. Thank you for your article and doesn’t JHW look cute with his hair cut? That actually looks good on him 🙂 I too, thought that it was wise and understandable not to have YIN be there, for obvious reasons. I hope he will get some deserved rest and that he will be refreshed while doing his MS.
Those shots are super adorable. Nobody does sheepish grin like JHW. I agree that the time flies by. 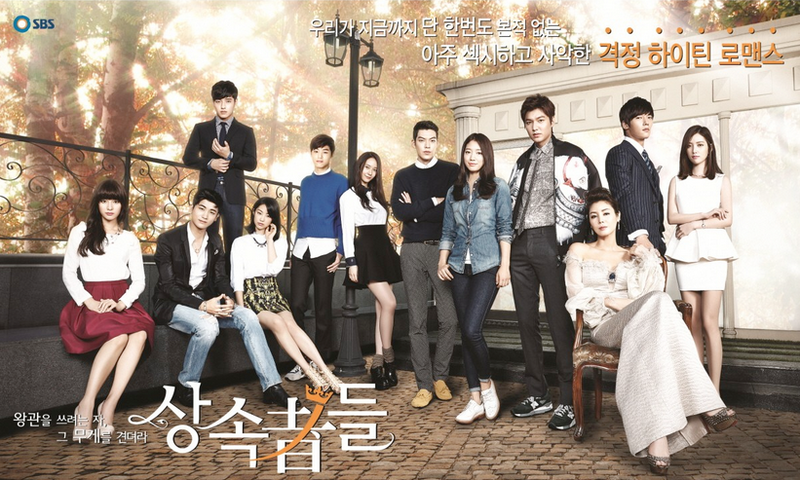 Those stars who I knew about that went and returned are Jae Hee, Lee Jun ki and Lee Dong Woo. He is the first guy I fell in love with, though. I am hoping that the only reason he confessed to YIN was because she had already said she would wait. Maybe I am too optimistic. Who knows what will happen in two years. I’m still kind of torn about the confession because the feminist and sociologist in me gets all worried about how much YIN will get hurt if things turn badly in the next two years. Because Korean society is harsher on woman than men in the case of broken relationships, especially when they happen to during the man’s military service. But I remind myself that YIN is a grown woman who can take care of herself and JHW seems like a considerate guy. I don’t know…love can make us do stupid things. See you later, would be best for him, for I’m already looking forward to seeing a more manly and macho Hyun woo-shi in two years. Have a good time, Oppa. How he got this back injury? If it was a serious and still gives him pain, he might go to the rank 5 or 6 at army, meaning he won’t be a active soldier but only a office guy…. if he does he’ll work like a normal person and at 5pm he’ll go to his own home, he also can have his cellphone and can date YIN without the media following him. So they will be able to see everyday (well, not everyday because YIN must be busy) and he’ll only be away from our screen. But for this one month he has to train like everyone else before receiving his rank. KNG for health reasons also wasn’t an active soldier, and Heechul from Suju also wasn’t because he suffered a car accident in the past…. He got his back injury after falling of a horse while he was filming QIHM. He pushed back his original enlistment date in July in order to get more rehab so he can join the army as an active soldier. I wish him a good journey and wish him to be healthy! For their love story of course I wish them the best! Ahh..Kim Boong-do my number one fictional man, the greatest finding in dramaland ever. Ji Hyun-woo, we’ll be thinking of you. All the best! im wishing JHW all the best in his military service ^_^^_^^_^ and hoping to see him again in two years…. Im gonna miss him for sure..you inspired me in so many ways..JI Hyun Woo.. tc!! see you on tv soon ❤ hoping in personal too. i’ll miss u … take care always mwah mwah….